This is a comfortable cotton long sleeved tee shirt that pairs well with denim pants. It is intended for casual wear, and is very well made and durable. 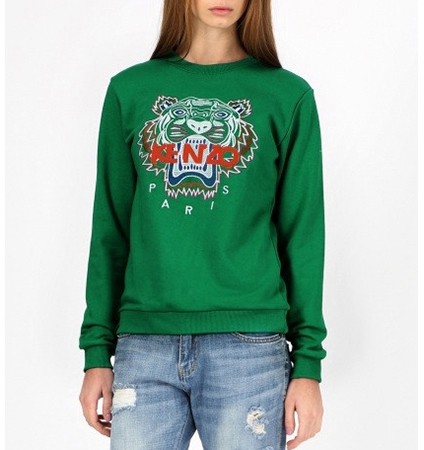 It is presented in a bright shade of emerald green and has a stylized tiger logo on its front. The shirt features long, comfortable sleeves that can be worn full length or pushed up as shown. It has a round neckline and a shorter-than-traditional length. This top is machine washable in warm water. The tee may be successfully tumble dried on a low temperature setting. It is available for purchase in sizes Small, Medium and Large.